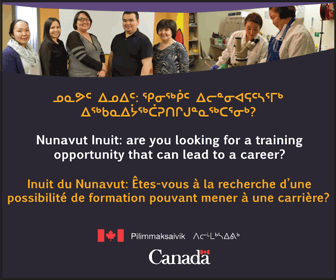 Planning is already underway at Nunavut Tunngavik Inc. for 2013, when Nunavummiut will celebrate the 20th anniversary of the Nunavut land claims agreement. And, as part of the celebrations, Nunavut Tunngavik Inc. will unveil a large monument in front of its Iqaluit offices. 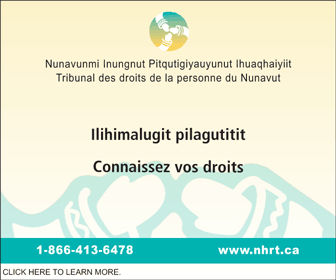 “On July 9, 2013, Nunavummiut will celebrate the 20th anniversary of the NLCA. To recognize this major landmark in Nunavut and Canadian history, NTI will commission a monument to commemorate the decades of tireless work of everyone who helped conceive, negotiate, and now implement the NLCA,” NTI president Cathy Towtongie said in a Feb. 3 news release. NTI plans to select one carver from each region of Nunavut to create the monument. Interested carvers can apply to NTI by the end of March. An NTI selection committee will then review all the applications and choose three carvers, who will work with a coordinator to plan and design the monument. NTI will select the artists based on their previous experience and their suggestions for the design of monument. “It will become a piece of art that illustrates to the world what was accomplished by Inuit,” said Towtongie. Selected carvers will each pair up with a young apprentice to make their part of the carving in their home communities. Then, before the monument unveiling on July 9, 2013, they will assemble and install the finished carving front of the NTI office in Iqaluit. Application forms are available from the NTI website, or by contacting NTI.